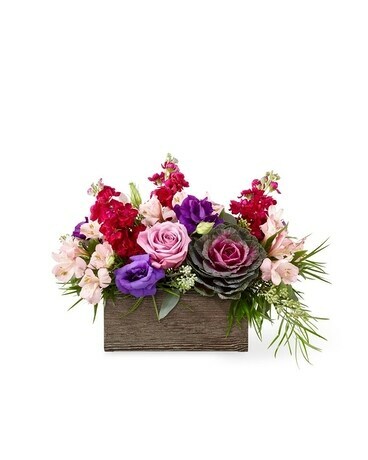 Birthday Surprise Floral Cake in Chicago IL - Wall's Flower Shop, Inc. 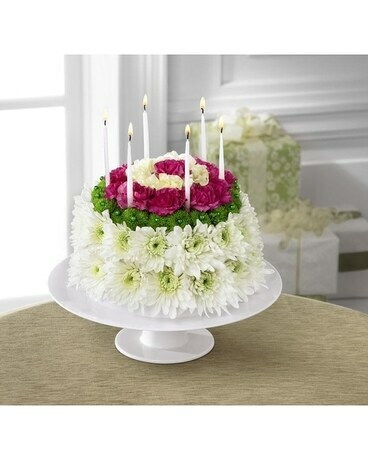 Send a unique birthday floral surprise with the classic flower birthday cake. 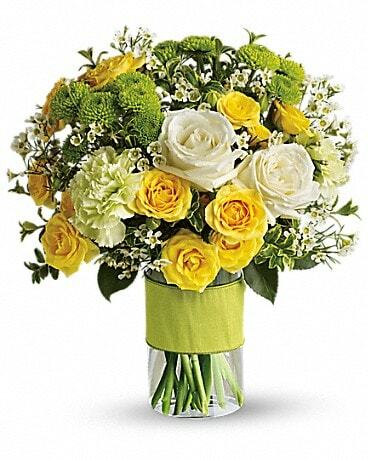 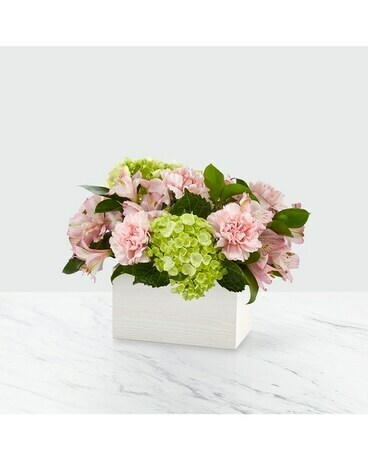 This arrangement features lovely spring flowers with white chrysanthemums, green poms, yellow carnations, pink carnations, and sits a top a cake platter. 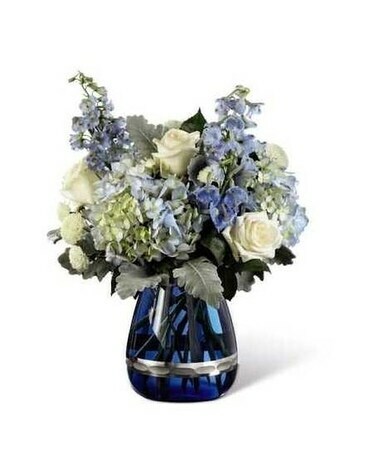 You can get flowers delivered today as flowers for mom or for a birthday flower delivery that not only will make them smile, but will also tickle their funny bone with this this cake made of flowers. 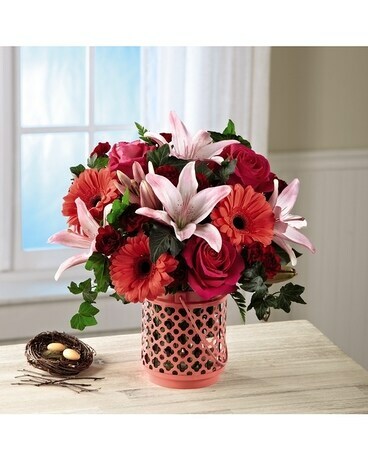 Our floral desigher will make sure your "cake batter" is super fresh!